Raymond L. “Bucky” Lawson, age 73, of Dixon, died on Tuesday, November 28, 2017 at Serenity Hospice and Home in Oregon. Bucky was born on November 30, 1943 in Dixon, the son of Grant and Lavina (Helfrich) Lawson. He was a graduate of Dixon High School, and proudly served in the United States Navy. He married Carol Sue Dodd on March 17, 1981 in Las Vegas, NV. Surviving is his wife Carol; daughters, Jody Kampe of Fulton, Shirley Umphress of Parker, TX, and Tina (Mark) Burns of Houston, TX; daughter-in-law, Terri Pescatore of Carrollton, TX; grandchildren, Melissa (Brian) Fields, Dustin Weaver, Joshua Oester, Tyler (Ashley) Venier, Mason Kampe, and Brylee Kampe; great grandchildren, Katlyn Lantz, Madison Weaver, Alex Fields, Brenna Fields, Sawyer Venier, and Sutton Venier; sisters, Dolly (Dave) Gugerty, Judy Kampe, Diana Lawson, Nancy (Steve) Smith, Connie Barone, Susan (Gene) Johnson, and Jane (Mark) Imfeld; brothers, Charles (Joni) Lawson, Dale (Dory) Lawson, and Jim (Deb) Lawson; several nieces and nephews; and his best boy Buckaroo. 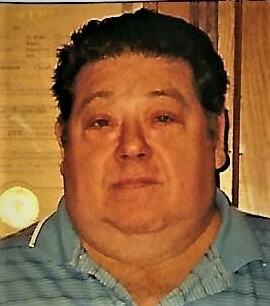 Preceding him in death are his parents; one son, Jimmy Oester; sisters, Linda Daraska and Karen Lawson; and brothers, William Lawson, Thomas Lawson, John Lawson, Timothy Lawson, and Ronald Lawson. Bucky loved to fish. He made many weekend trips with his buddies to Sheboygan and New Orleans to fish Salmon. When he wasn’t fishing, you could often find him playing poker with his buddies in his poker room. 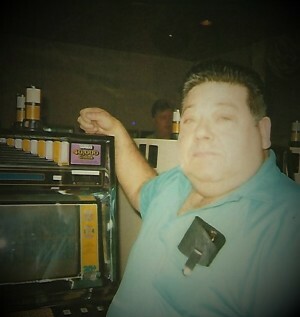 He also enjoyed frequent trips to Las Vegas and many of the area boats to play cards and poker with his wife, Carol. Bucky also enjoyed his Saturday coffee with his buddies. Simple, fun-loving, and caring are just a few of the words that describe Bucky. He never met a stranger no matter where he was. He was a loving husband, father, grandfather, and great-grandfather, and he will be greatly missed by all those that knew him. A visitation will be held on Friday, December 1, 2017 from 2pm to 6pm at Chapel Hill Funeral Home, 1121 N. Galena Ave, Dixon. A funeral service will be held on Saturday, December 2, 2017 at 11am at Chapel Hill Funeral Home with Pastor Steve Young officiating. Burial will follow in Coloma Township Cemetery, 908 Avalon Street, Rock Falls. Memorial Contributions may be made in Bucky’s honor to the family or to Serenity Hospice and Home in Oregon.